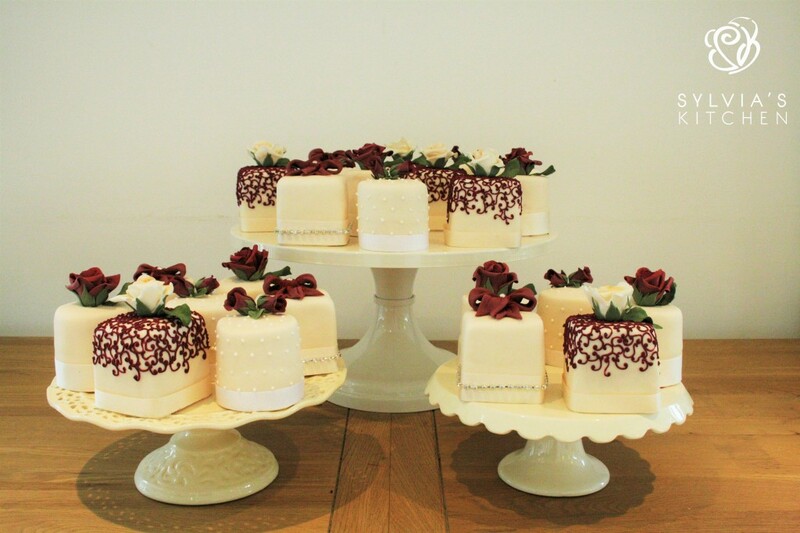 Twenty Four Miniature Wedding Cakes – Amberley Castle, Amberley, nr Arundel, West Sussex. 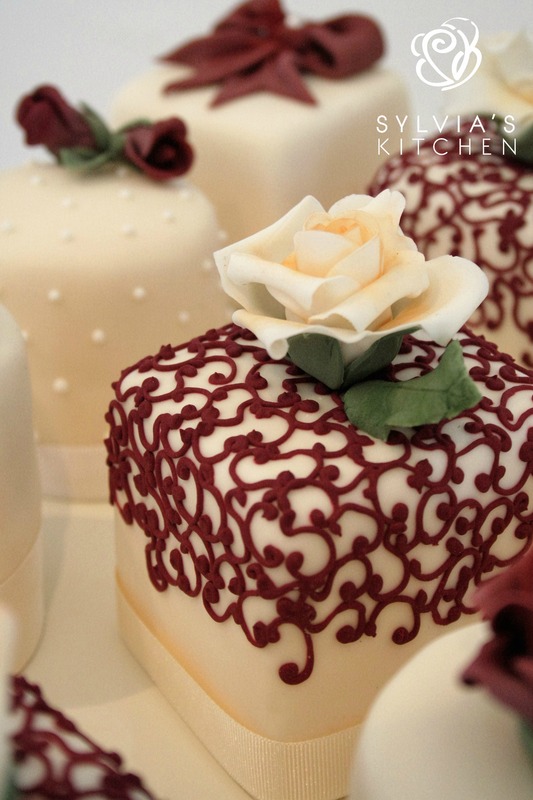 All cakes iced in pale ivory. Twelve square miniatures of Madagascan Vanilla sponge with whipped Madagascan vanilla bean paste buttercream and Raspberry conserve filling. Six decorated with deep red hand piped filigree and a pale full bloom sugar ivory rose and foliage. Six decorated with a sugar deep red bow and trimmed with grosgrain ribboning and diamante. Twelve round miniatures of fresh lemon zest sponge with whipped lemoncurd buttercream filling. Six decorated with white piped microdots and two small deep red bud roses with foliage. Six decorated with a single large full bloom deep red sugar rose and foliage. Finished with grosgrain ribboning.